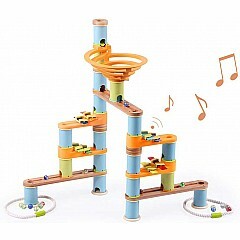 Start small with the 78 or 119-piece sets featuring the basic towers, tracks, and one spiraling vortex each. 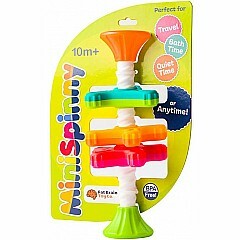 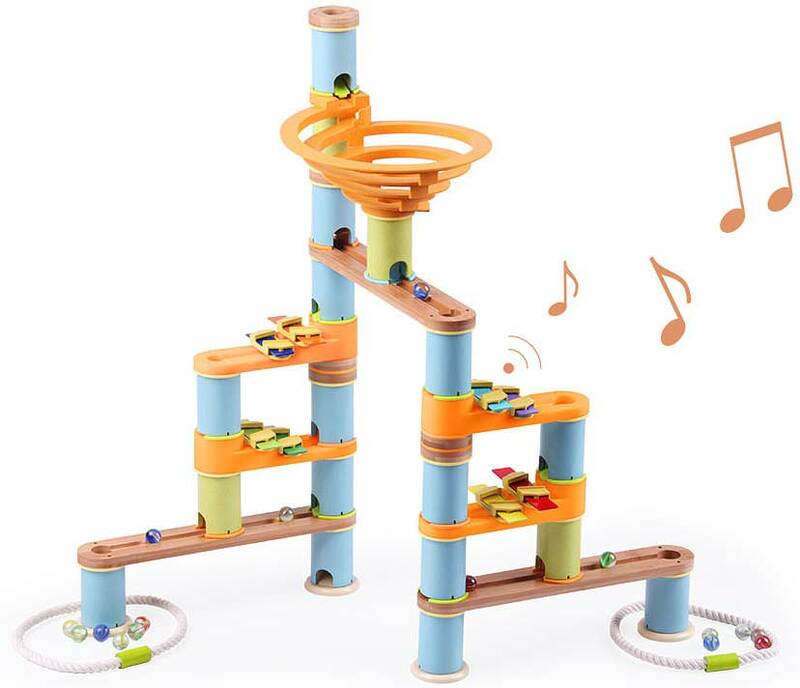 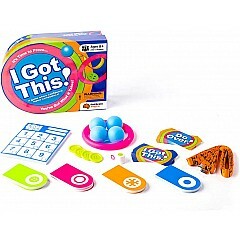 Dive into the deep end with the 168-piece set where loads of pieces allow for endless possibilities - Or, get extra creative with the 127-piece set which features chimes that make music as the marbles roll this way and that. 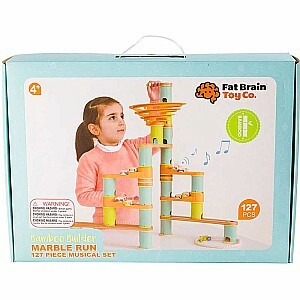 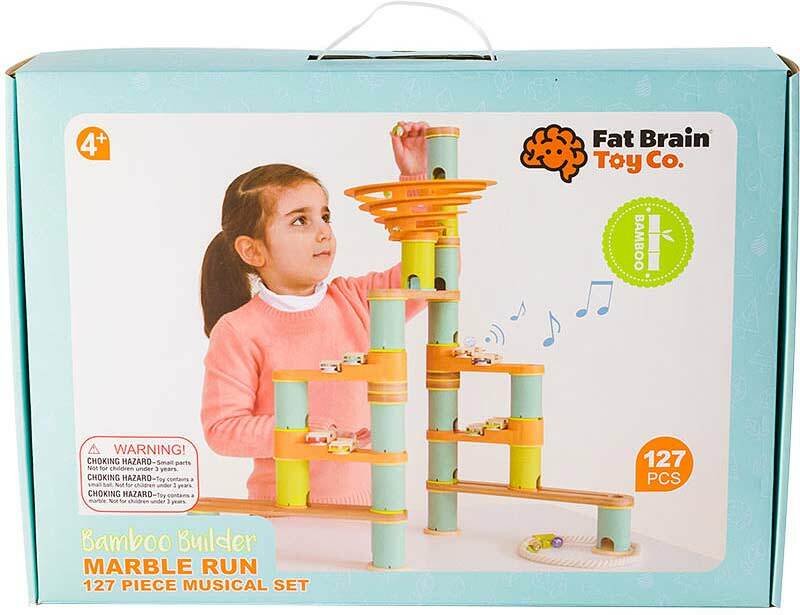 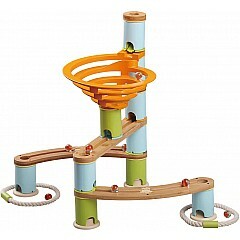 You can even combine all four of them to create the ultimate, bamboo marble-run metropolis! 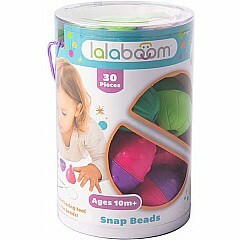 Measures approximately: 18.50 x 13.25 x 4.00 inches..